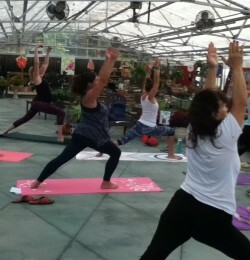 Greenhouse Yoga is a donation based class that is open to anyone that wants to come and enjoy some yoga! All you need to do is show up, bring a mat, and water (bring your friends too!). Classes are led by Ben in the Greenhouse at White’s Nursery and Garden Center. The class is free to attend but donations to the Chesapeake Humane Society are encouraged.